Weightless was made to celebrate the company’s 20th anniversary. Engaging and thoughtful Weightless carries Yael Flexer’s recognisable stamp of witty text and humour combined with fast paced, space-hungry movement, and a driving musical score by composers Karni Postel and Dougie Evans. A collaboration with Nic Sandiland, Weightless includes live video projection and a sonic environment of disembodied voices and after images as well as text by Wendy Houstoun. Made in the context of the 20th anniversary, Weightless, in a tongue in cheek way, references its own historical position. It questions the ‘weight’ of history, both personal and aesthetic: what is it that roots us down physically and emotionally? What might it feel like to let go or take flight? An episodic trace of a history, that is partly made up and partly remembered. 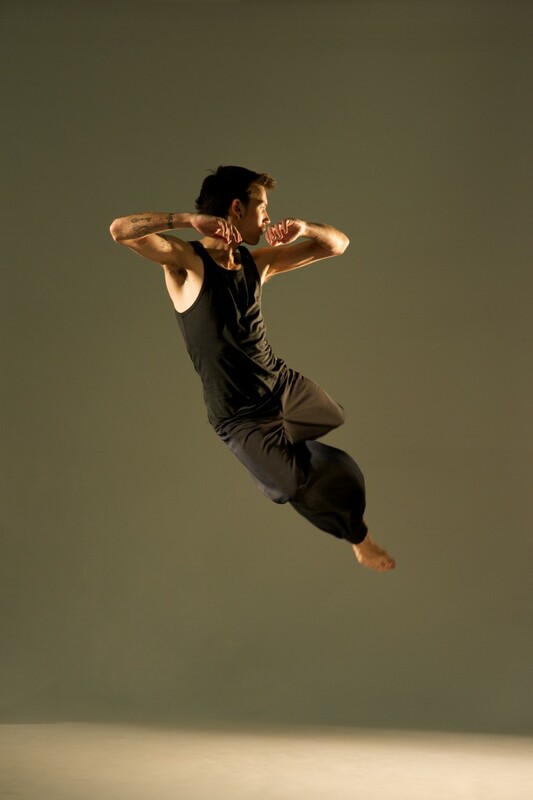 Weightless was commissioned by South East Dance with additional funding from The National Lottery through Arts Council England’s Grants for the Arts and support from The Point, Eastleigh, Greenwich Dance and University of Chichester.